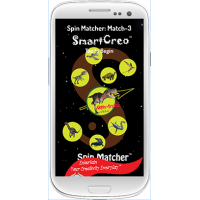 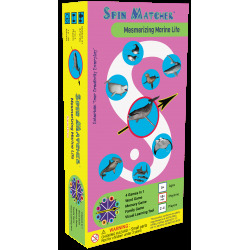 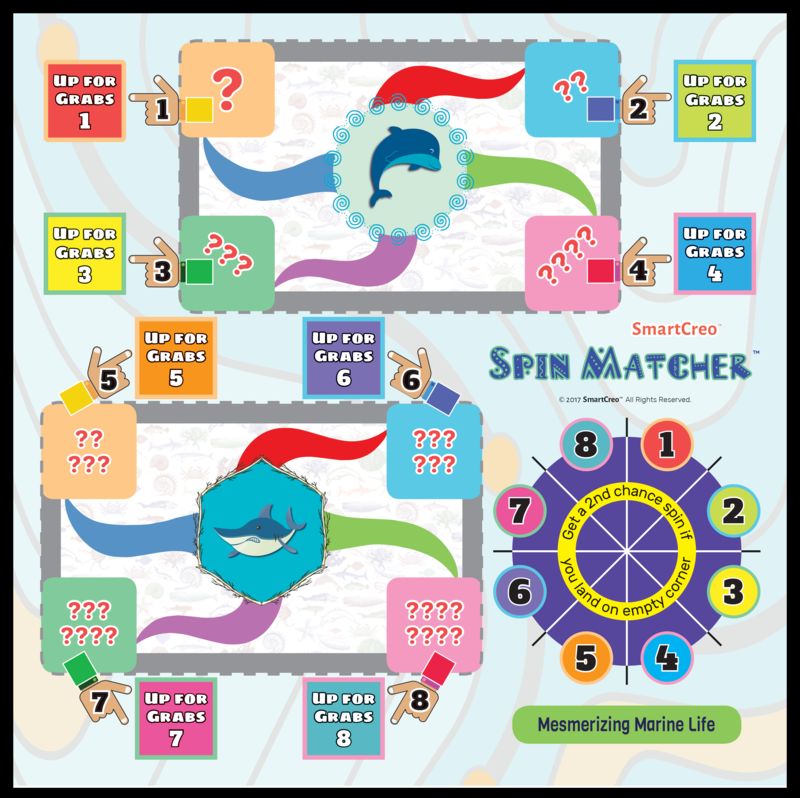 Spin Matcher is a family of fast-paced 4-in-1 memory games that challenge the players’ memory with a twist of luck. 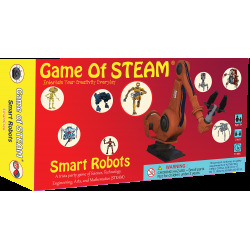 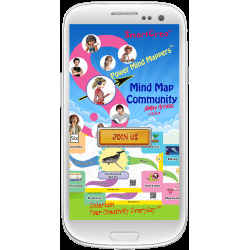 These games are based on the creative visual thinking tool called the mind map. 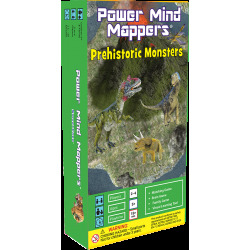 To keep these games fun and fast-paced, we created mind maps in their simplest form, so each game is easy to understand and fun to play. 4 ways to play for different skill levels. 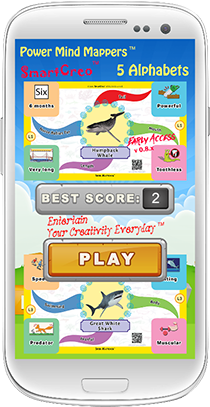 Can be enjoyed by 2 to 4 players, ages 5 to adult. 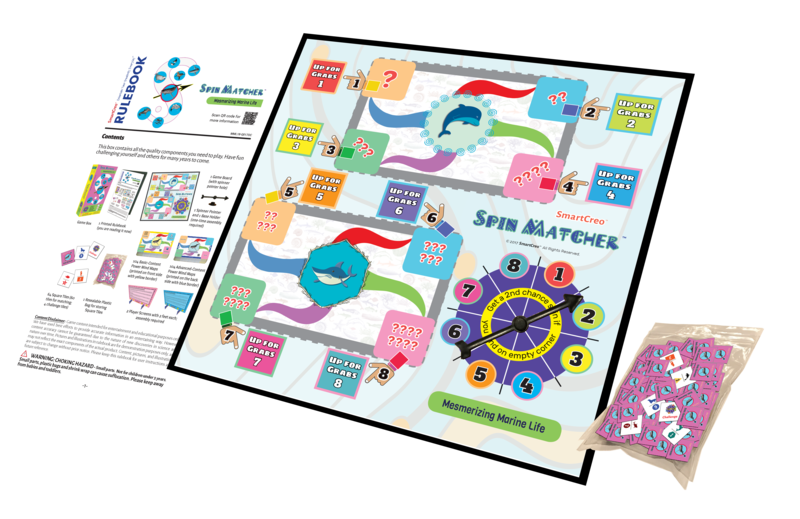 It only takes is 2 minutes to setup, and an average game takes about 15 minutes to play. 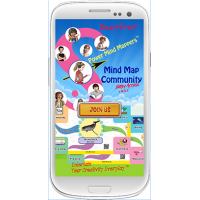 We based the game on a creative visual thinking tool called the mind map. 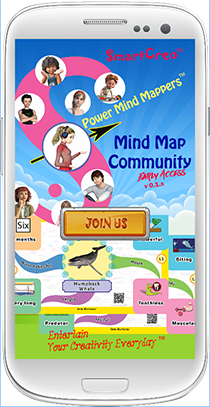 It's a method to help your mind draw vivid connections between topics and sub-topics, images, special characteristics and concepts. 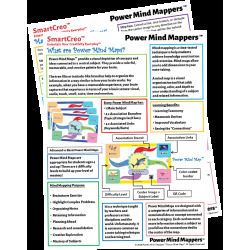 The simplified mind map diagrams unique to Spin Matcher are designed to help kids in visualizing how different pieces of information are associated to the main topic image in the center of each card. 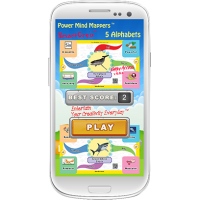 As you play, your brain is challenged to memorize new information in a short amount of time and to mentally access that same information in the right context at a later time. 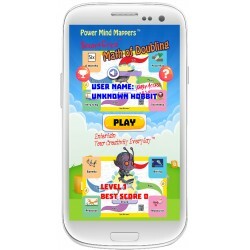 If you’ve been looking for a new wholesome educational family game that kids and adults can enjoy playing together, look no further. 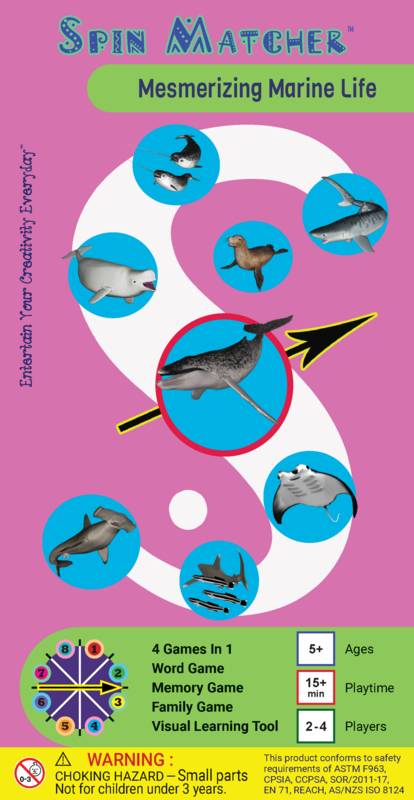 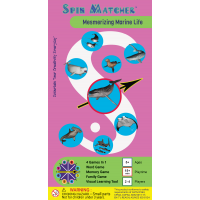 We are pleased to present Spin Matcher™ : Mesmerizing Marine Life - the first title of the series to be released into the wild! 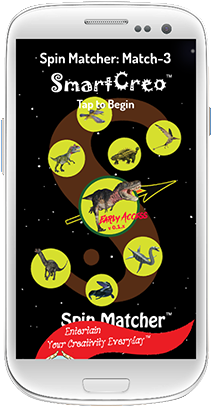 Please check us out on KICKSTARTER. 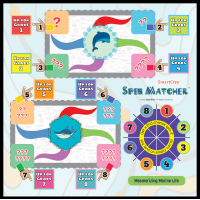 If you like what you saw, please make a pledge and be the first group to receive our board game Spin Matcher™ : Mesmerizing Marine Life. 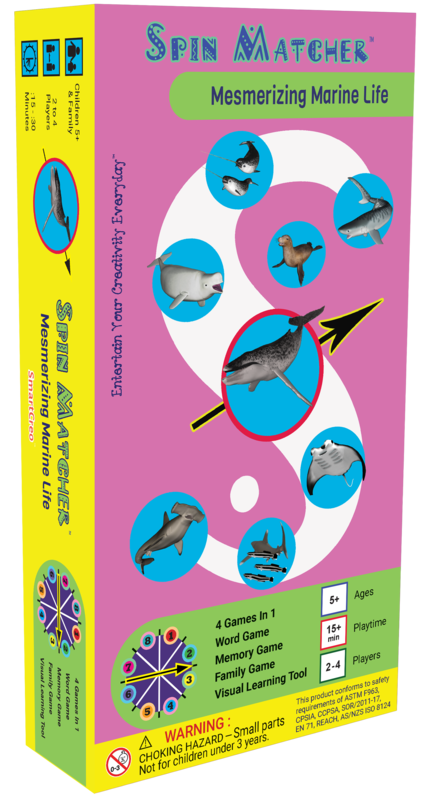 You can find all the pledge details at our product site on KICKSTARTER (click here).